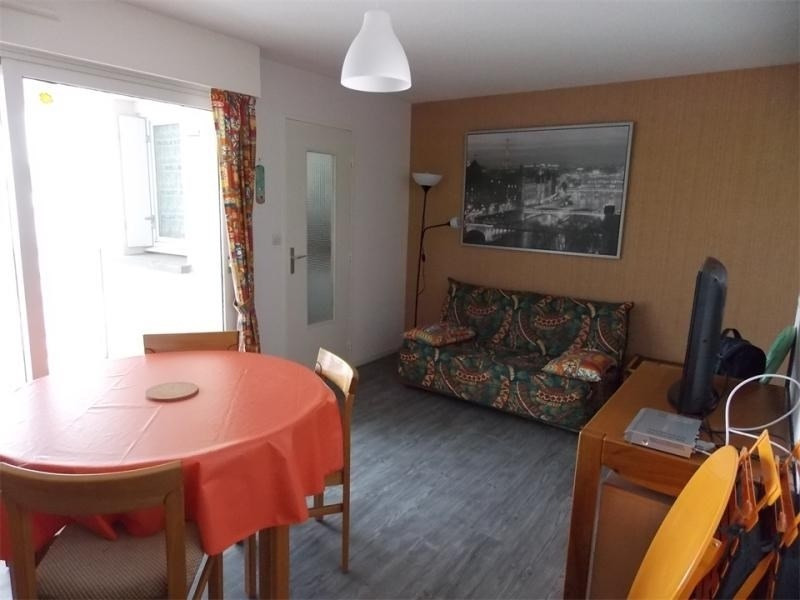 CET APPARTEMENT COMPREND UNE ENTREE, UN SEJOUR AVEC CANAPE, LA TABLE ET SES CHAISES, UN TELEVISEUR ET UNE GRANDE OUVERTURE SUR LA LOGGIA AVEC PETIT TABLE ET CHAISES. 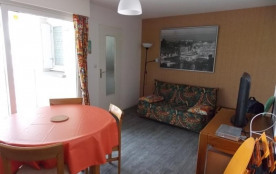 UNE KITCHENETTE EQUIPEE (MINI-FOUR, MICRO ONDES, LAVE LINGE, LAVE VAISSELLE, GRILLE PAIN, CAFETIERE, ET BOUILLOIRE) AVEC UNE FENETRE DONNANT SUR LA LOGGIA. UNE CHAMBRE AVEC UN LIT DEUX PERSONNES ET TOUR DE LIT. COIN CABINE AVEC UN CANAPE LIT TYPE FUTON 130X190 ET UN LIT MEZZANINE UNE PERSONNE. UNE SALLE D'EAU AVEC DOUCHE ET UN WC SEPARE.